On the 8th of July 2015 D-CENT took part at the second International conference organised by CAPS2015 (Collective Awareness Platforms for Sustainability and Social Innovation) in Brussels. 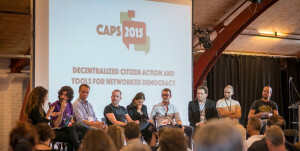 CAPS 2015 is organised by the European Commission through the CAPS2020 project, coordinated by Sigma Orionis. 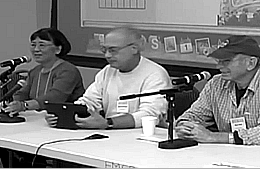 The CAPS projects are leveraging the emerging “network effect” by combining data coming from people, social media and real environments (“Internet of Things”) in order to build public, distributed, and privacy aware collective awareness platforms to address social challenges and present possible solutions.